Welcome back to LeaderVision. I cannot tell you how delighted we are to have you join us. Because we are here to give you a vision for your heart. We believe the heart of the leader is the heart of the matter. And more than anything else, we want to serve you and minister to your heart so we can help you understand what God is forming in and through you to make a difference in the lives of others through you, His leader. Man or woman, in ministry or through your business, professional…just a plain ol' whoever…God can use you as a leader. We are here to serve you. I'm Bill Lawrence, President of Leader Formation International. And if you've been watching these videos on the Seven Realities of the Altared Heart and you've watched the first two I wouldn't be a bit surprised if you are thinking to yourself, "O.K., I get it. Why don't we just quit!? I mean, I get it, I understand, I'm inadequate, Christ is adequate…that's obvious, so why do we keep going? What new are you saying to me?" Now I want you to understand that, of course, I know you know this. But there's a lot of ways to know things. Many years ago, I would have said the same thing…"I know that!" Interesting, isn't it, how we can get the words and miss the meaning? 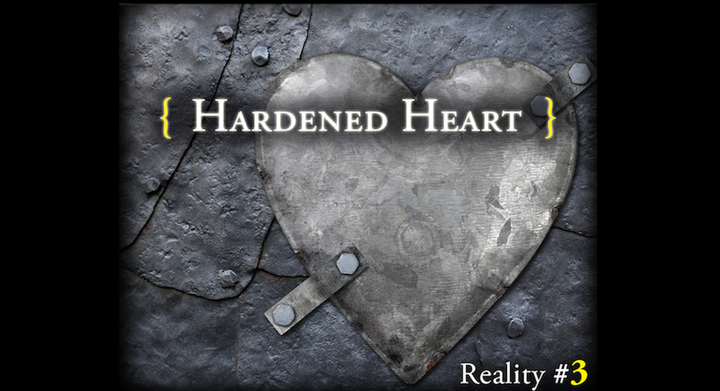 There's something very significant about understanding the Reality of the Altared Heart. Unless you enter into them, unless you become engaged with them, unless you've got the five loaves and the two fish in your hands and you're standing there looking at Jesus saying, "But what is this among so many?" And unless He says to you, 'Break the crowd up into fifties…give me what you have.' And you watch Him pray to the Father and then take it from His hand to your hand and you go. You start to give the food and you give the food, you go back and there's more, and you give the food. You know, unless you've entered into that, unless you've really experienced what it means to come the very end of every resource you have and to say, "I can't do this! ", then you don't know yet how inadequate you are. Honestly, I hope that's where you are right now. Not because I wish you bad. Not because I want to see you struggle. Not because I want to see you beside yourself with confusion and uncertainty. That's not why I hope that's where you are. It's because I want to see you go the next step. I want to see you go past the reality that you must do what you cannot do with what you do not have for the rest of your life. I want to see you go to the place where you see Jesus doing what He can do through you. I want to see you discover how His resources take up your resources, fill them, empower them, enable them and use you to make a difference. That's what I want to see. That's my dream for you. The more you see that, the more confident you become, the more assured you become, the more certain you become that Jesus is Lord, not in theory, but in reality. I guest I have to ask you if you do know this, is there any kind of discontentment in your heart? Is there any sort of ill-ease in your heart? Are you wrestling with any sort of self-judgment because you're failing? Are there any deep struggles there? Are you wondering, "Why did I ever become a leader? Who would ever in his or her right mind, ever, ever think about entering into this kind of responsibility? Who, tell me!?" Well, then there's more that you don't know. There's more about the issues of your heart. I have been there. I know about the issues of the heart. I can't say I know everything. Of course not. But I know some very critical realities. There are crises that you face constantly. And maybe there's something, something very, very hard that you need to consider.